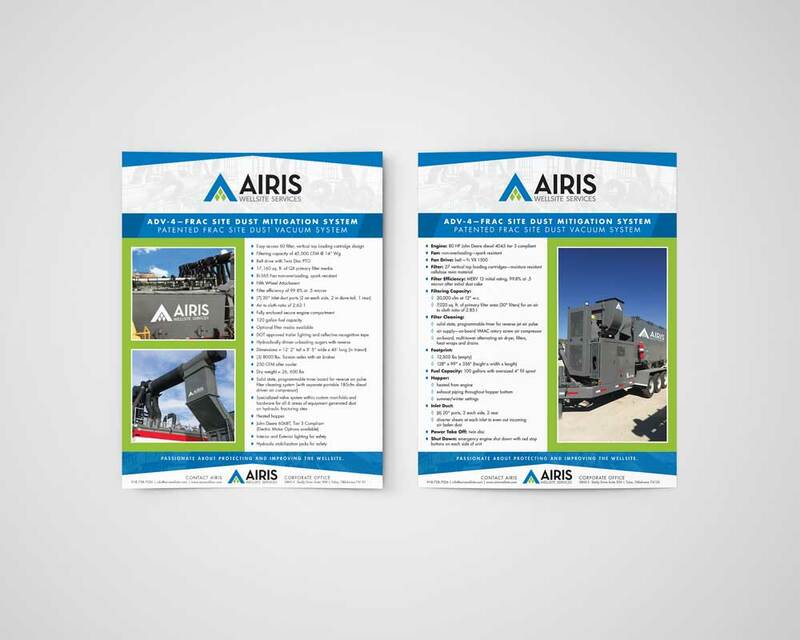 Our partnership with AIRIS Wellsite Services began in the earliest stages of their overall brand and corporate image. 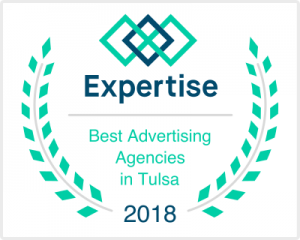 This foundation has created an ongoing marketing relationship, which includes print materials, social media, web design, animated infographics and more. Their business cards were one of our first projects. The use of vibrant colors and geometric lines helps to subtly reinforce their place as a cutting-edge technology provider. The same design elements seen in their business cards were also leveraged across a wide variety of marketing collateral. 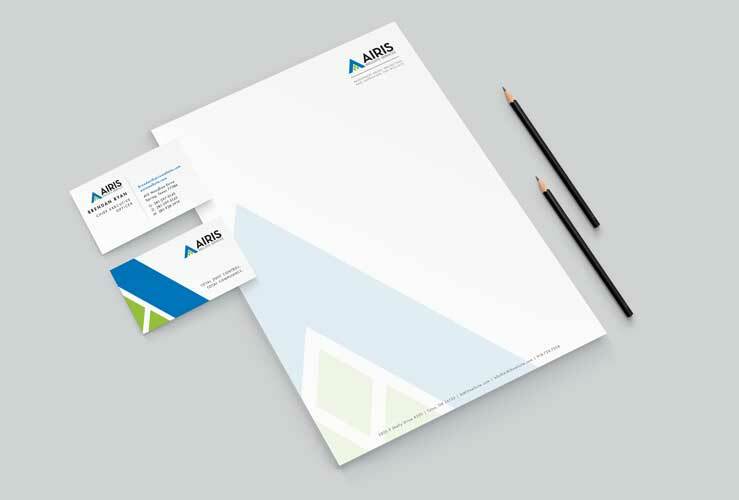 Folders, stationery and notepads are just a few of the materials that have contributed to this compelling and unified corporate image. Each item has its own subtle styling while still clearly tying together a clean and consistent brand identity. 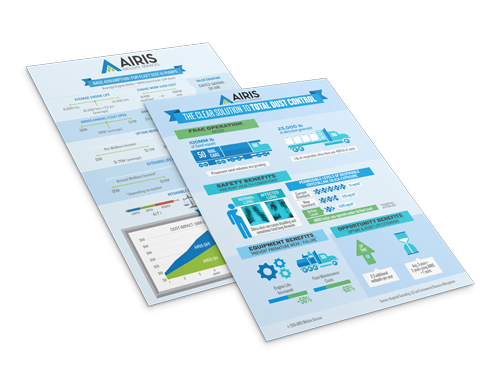 Since AIRIS serves a very distinct and technical business sector, there was a need for meaningful infographics. With industry statistics and government regulations, which needed to be explained to the reader, it was crucial to provide that information in a very clear and digestible manner. All of this was accomplished while maintaining a pleasant visual appearance and brand identity. 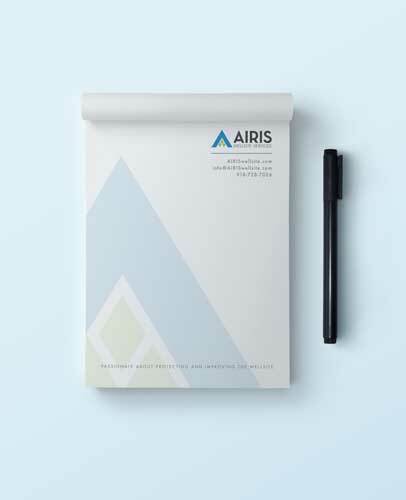 One of the next pieces in the AIRIS portfolio was to create info sheets describing AIRIS’ specific process and services. In a competitive business landscape, it was essential to help potential customers understand their unique approach. With this in mind, every single word and each design choice mattered. The layout, shapes and colors are all thoughtfully utilized to guide the reader through the document. Another step in telling their marketing story was to use animated infographics. With technical concepts and data to be shared, these animations have really helped their audience better understand the issues and opportunities facing the wellsite industry. 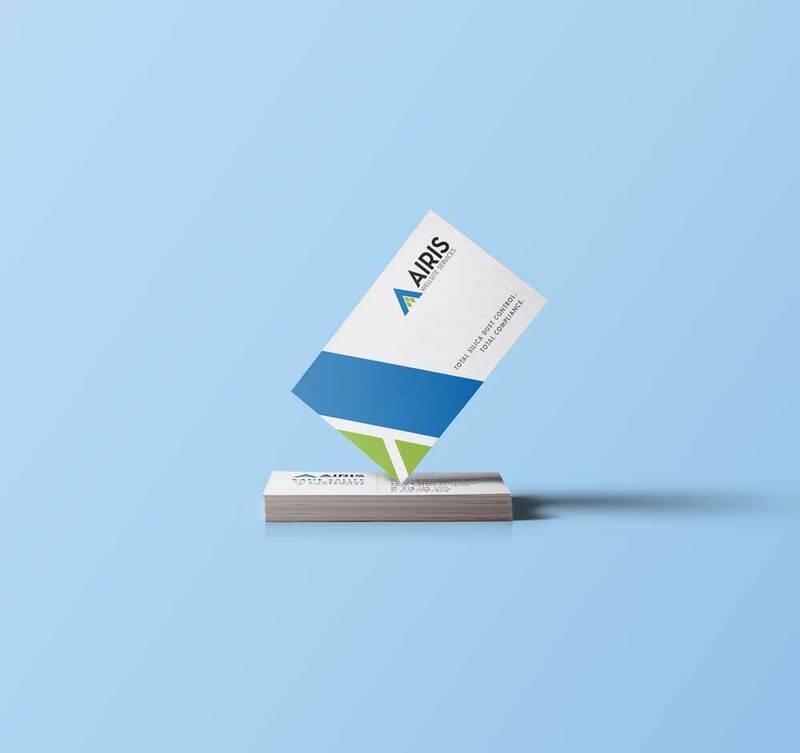 These particular pieces were all designed with multiple marketing platforms in mind, allowing AIRIS to utilize all or part of these animations across social media, their website and eblast campaigns.